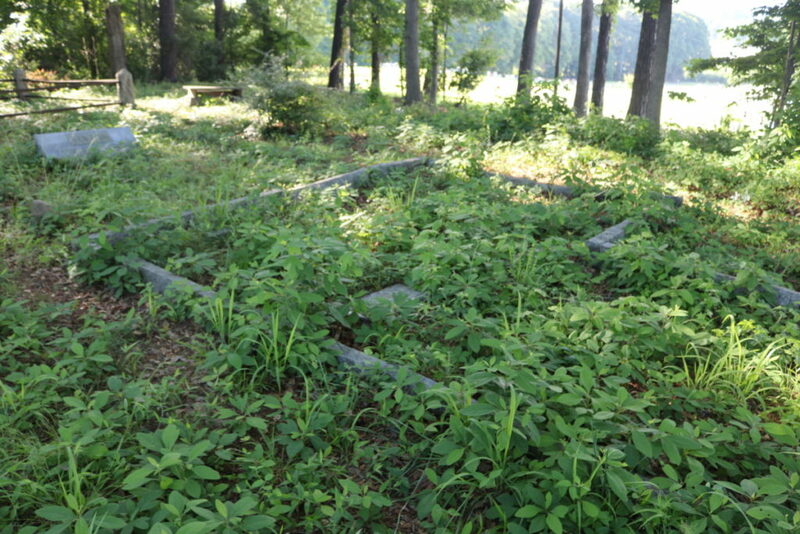 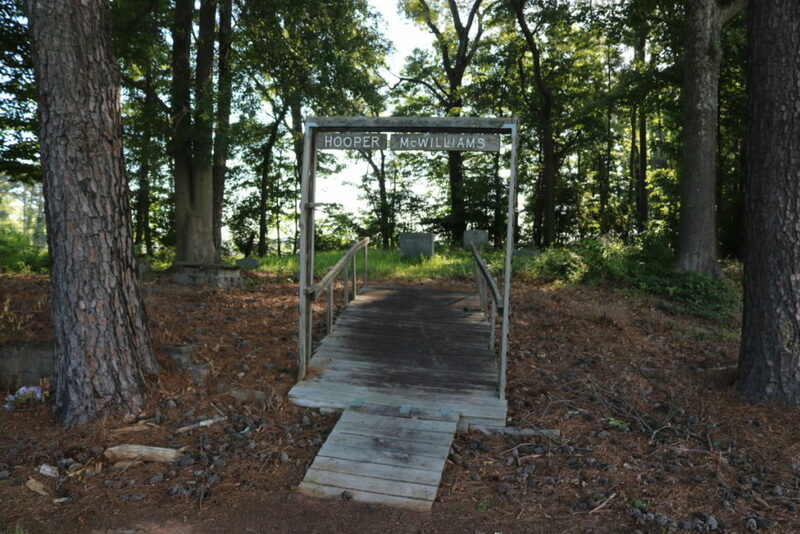 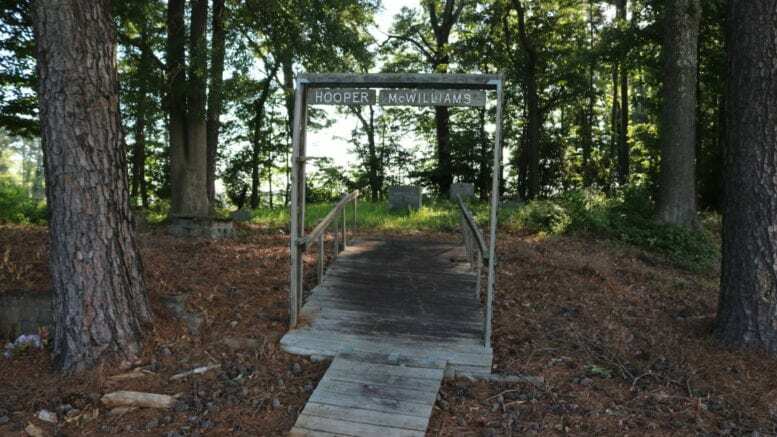 The Hooper-McWilliams Cemetery began on the property of Cobb County pioneer settler Thomas Hooper in the early 19th century. 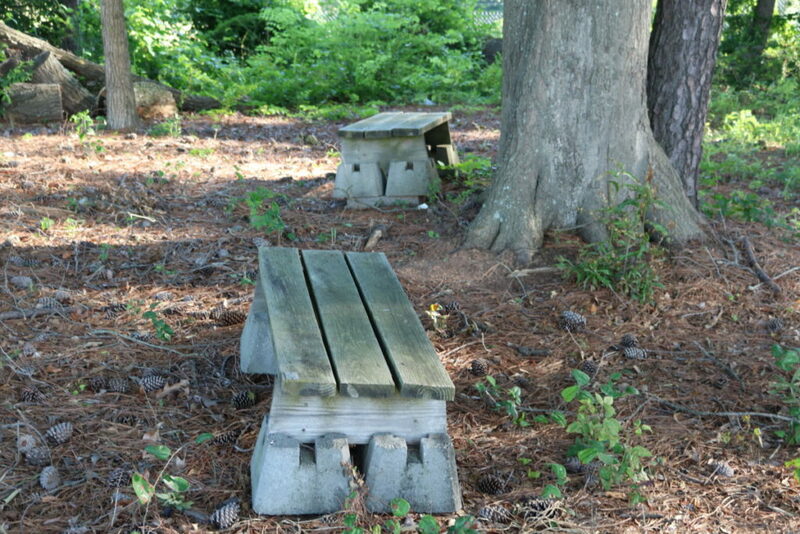 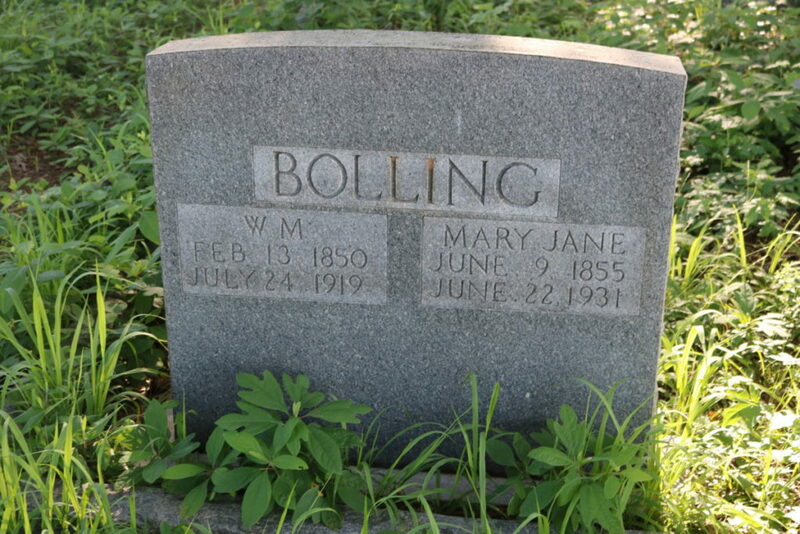 It’s now adjacent to the larger Riverview Memorial Park but is not owned by the larger cemetery. 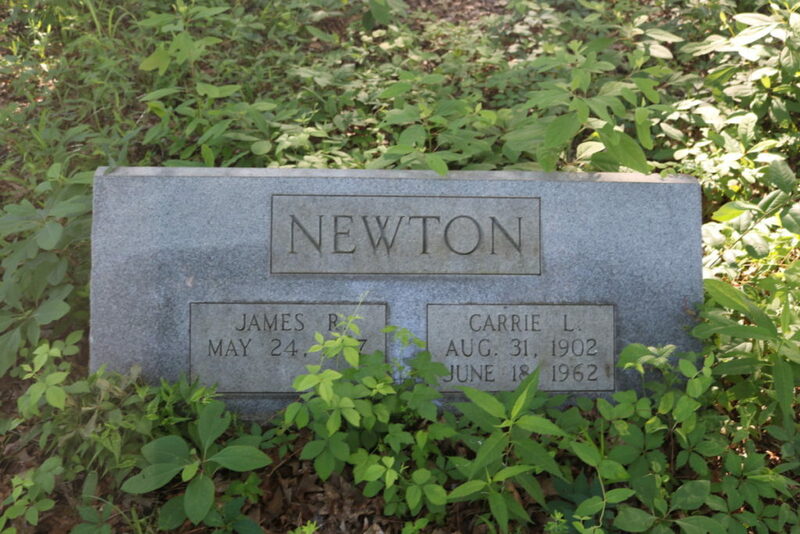 Both cemeteries border Georgia Power’s Plant Atkinson, and are very close to the South Cobb Drive bridge over the Chattahoochee River. 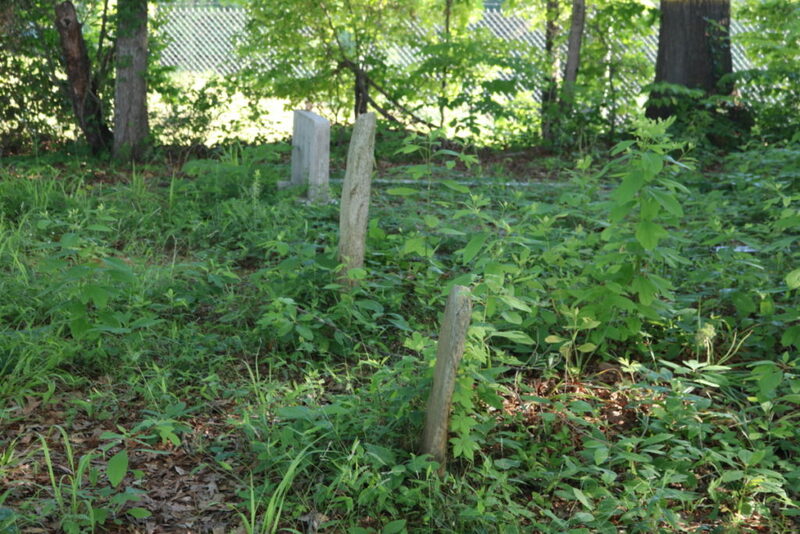 Find-a-Grave lists 26 known interments. 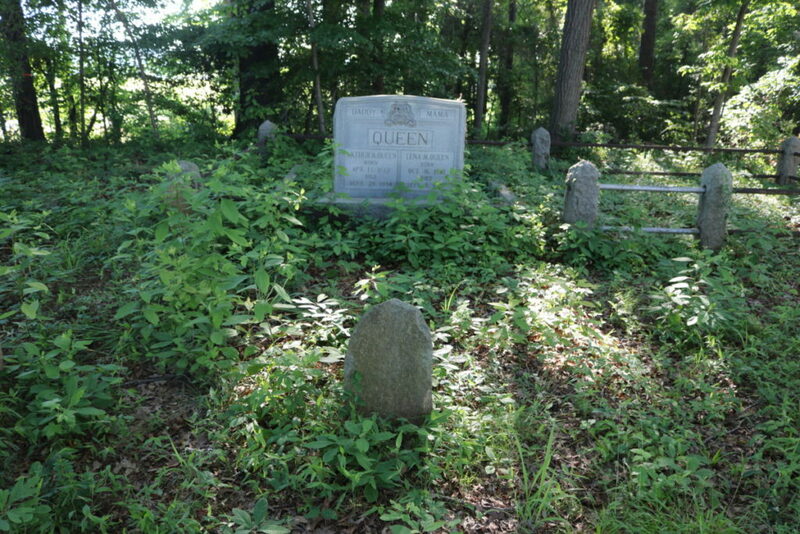 The oldest known burial, in 1836, was that of the infant Christian Hooper. 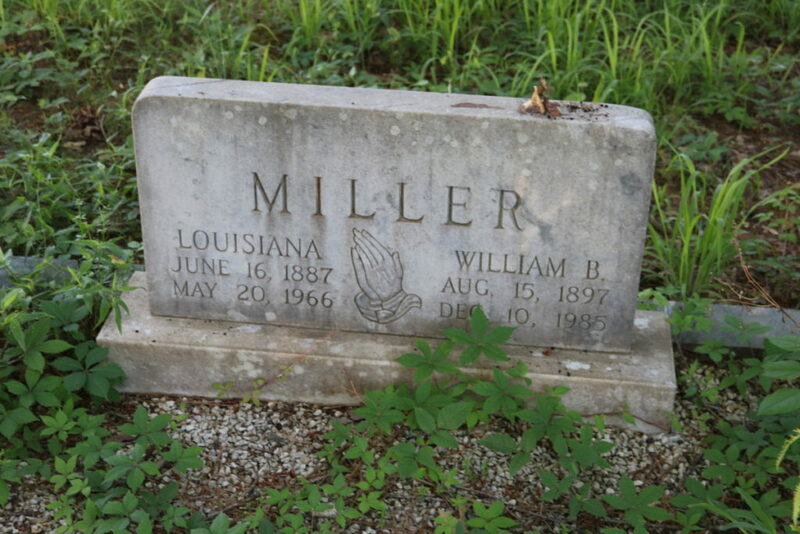 William B. Miller, in 1985, is the most recent. 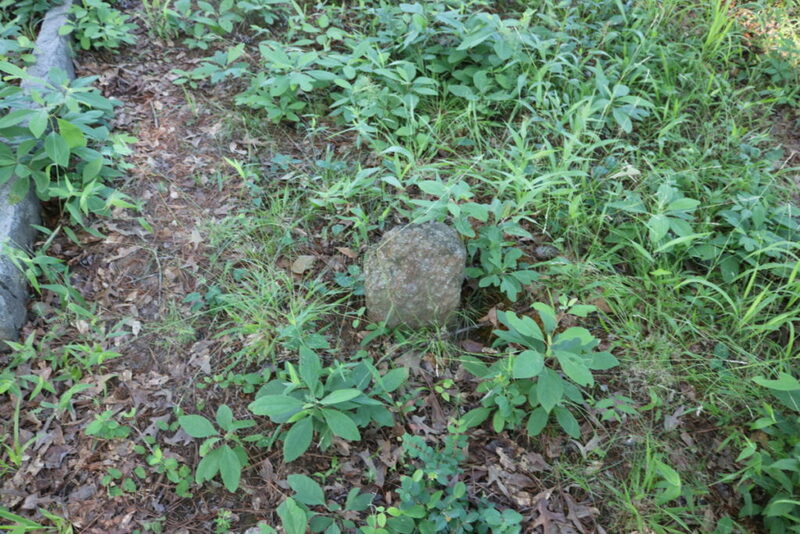 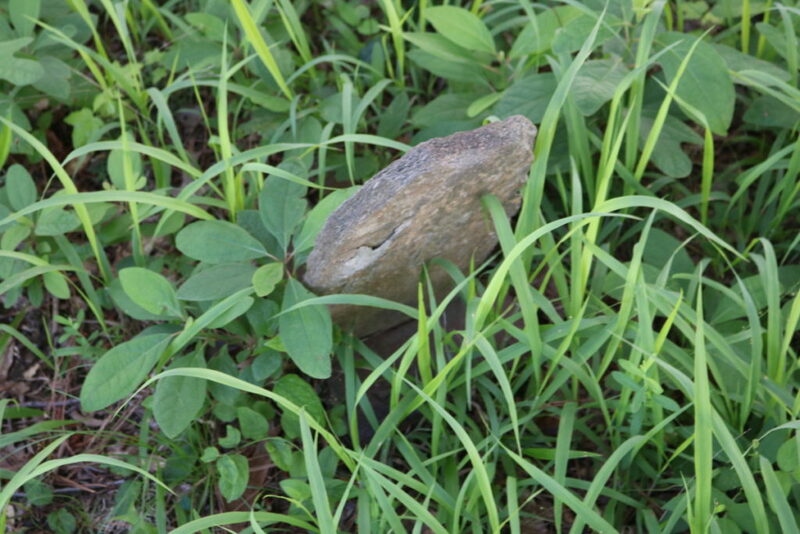 The earliest graves are marked with rough stones. 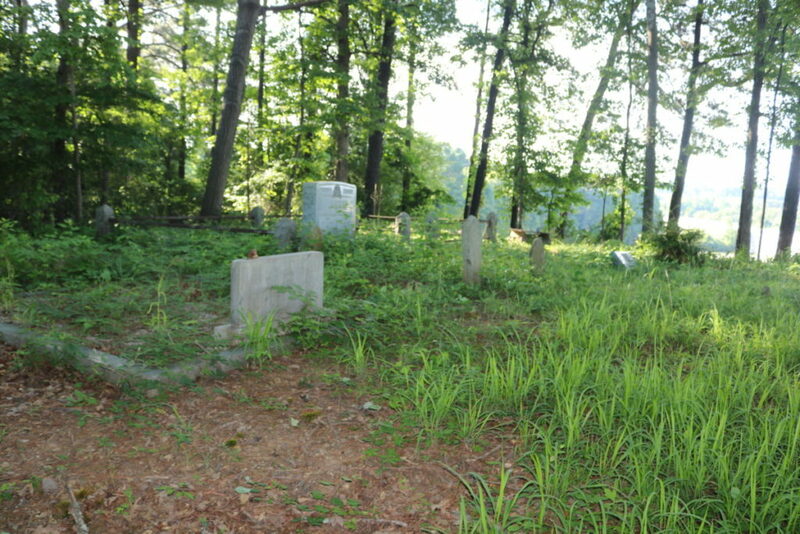 The cemetery is now slightly outside the city limits of Smyrna, GA. 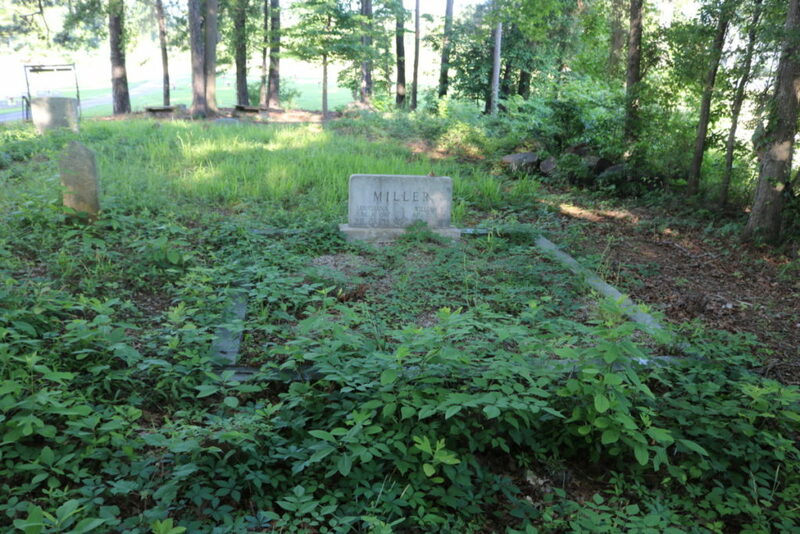 When burials began there it was probably within Boltonville, a 19th-century town covering much of that area on the Cobb County side of the river. 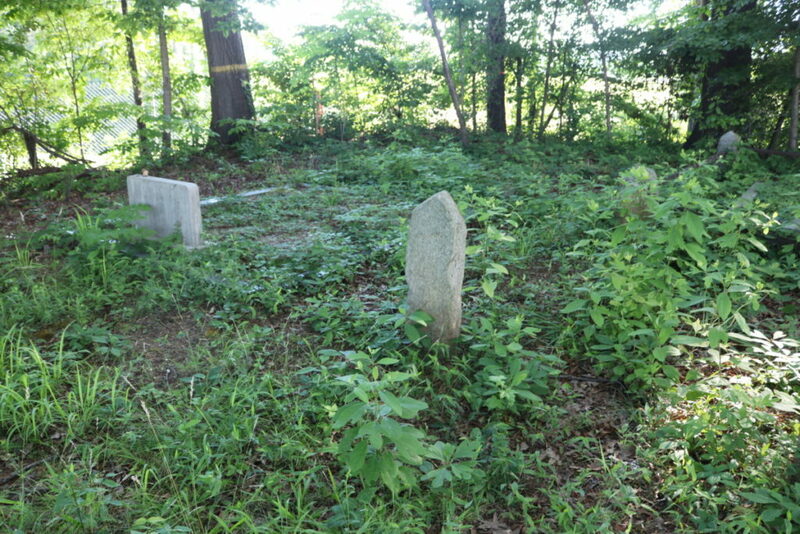 Thomas Hooper’s daughter Nancy married David McWilliams, giving the cemetery its name. 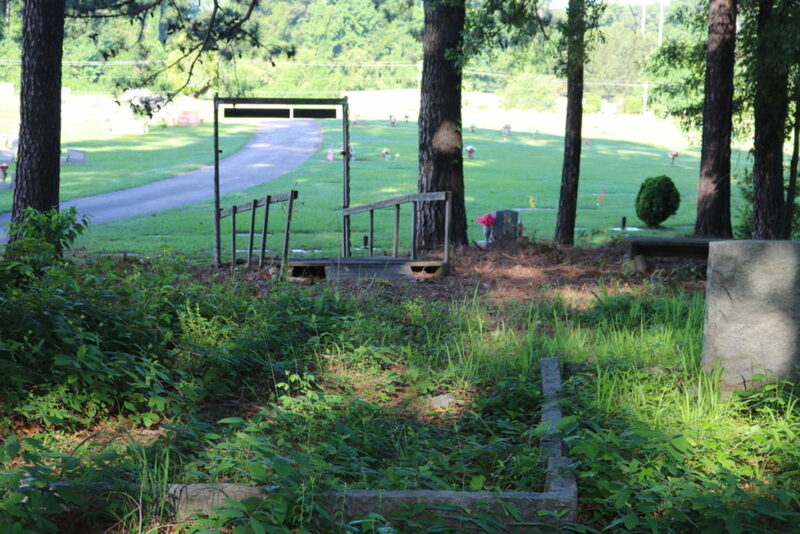 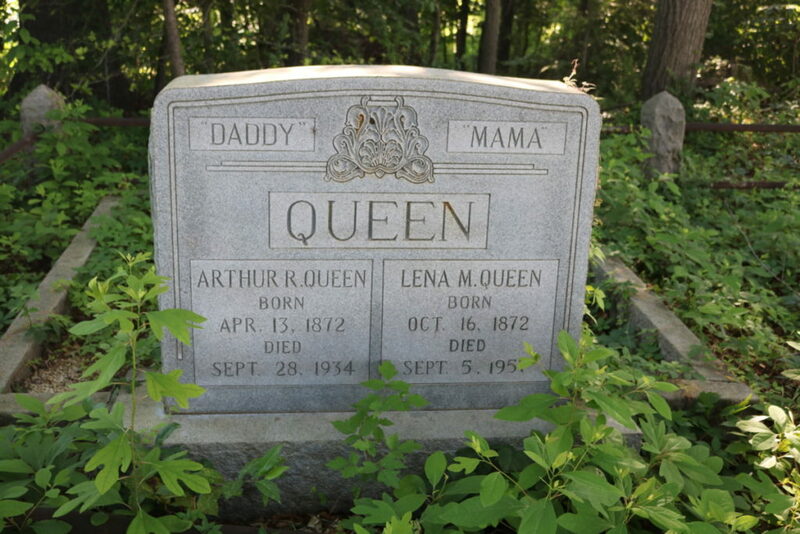 Be the first to comment on "Hooper-McWilliams Cemetery (Slideshow)"